The first five games of Eldridge Massington’s career went about as well as he could have hoped. On nine catches, he totaled 233 yards and two touchdowns to start the 2014 season, including an 80-yard score to mark his first career trip into the end zone. It certainly didn’t hurt that he roomed with quarterback Brett Hundley. That friendship blossomed into natural chemistry on the field, and helped the 6-foot-3 wideout finish fourth on the team with 367 receiving yards. But Hundley went to the NFL as a fifth-round draft pick this past spring, and that’s left Massington in a bit of a rut. Through five games, he only caught five passes for 49 yards. Eight Bruins already have at least 50. 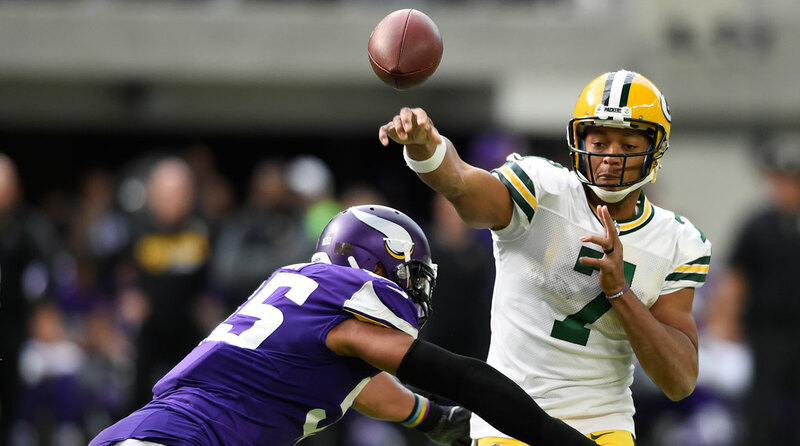 Brett Hundley fell all the way to the fifth round of the 2015 NFL Draft on Saturday, but ended up in a good developmental situation in Green Bay. The UCLA quarterback talked about joining the Packers on a teleconference with local reporters. How do you feel about coming to Green Bay and sitting behind Aaron Rodgers? It’s awesome. It’s awesome. It’s a funny thing. Johnathan Franklin, a big brother of mine, I used to ask him about Aaron Rodgers a lot. Just how he is in practice, how he is in the meeting rooms. Now I actually get a chance to be up and personal with it. it’s an awesome experience. Datone (Jones) is there as well. I’m ready to have some fun. Yeah. I’m blessed to be in this position and to get picked by Green Bay. Obviously, you always have expectations of going No. 1 or going high in the draft. But you know, everything happens for a reason, and that’s how I look at it. If I’m supposed to be here, this is where I’m supposed to be, and I’m going to make the most of it. How much pre-draft contact did you have with the Packers? I talked to them at the combine and that’s about it. Packers director of pro personnel Eliot Wolf said you made an impression at combine, calling you a football nerd. Is that accurate? That was what Jim Mora said less than a year ago, when he and his quarterback sat in Paramount Studios in Hollywood and talked about UCLA’s bright future. 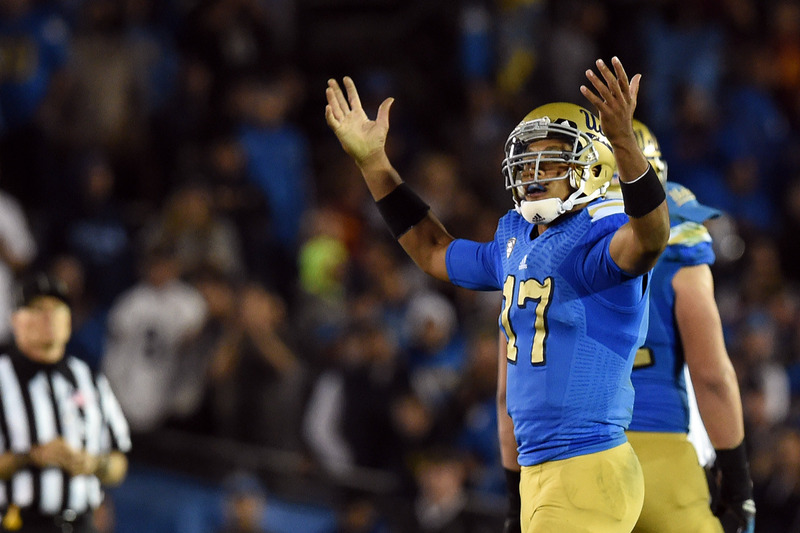 For the Bruins, Hundley did just fine, leading them to a an Alamo Bowl win and a top-10 national finish.